Property 28: SNAZZY! Right in the middle of the action! 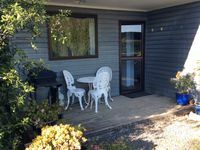 Property 29: Self contained cottage next to swimming pool. Property 30: Family friendly and a short stroll to the beach - you can hear the surf. 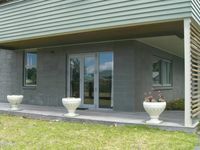 Property 33: Stylish apartment between Waihi Beach and Katikati. Property 34: Stunning, Private, Secure, and Modern Cottage. Property 49: Brilliantly positioned 35 metres from the beach.